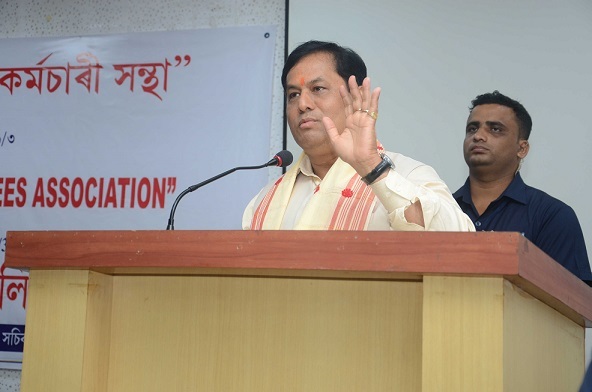 Chief Minister of Assam, Sarbananda Sonowal has ordered an inquiry on Tuesday after police personnel allegedly forced a child to remove his jacket while attending a function where he was present. The order came after the video of a small boy, which was showed in local television channels where police personnel removed the black jacket of the small boy who was going to attend the foundation stone laying ceremony of Eri Spun Silk Mill at Borgang in Biswanath district, reports TNT. After the video clip went viral, Sonowal asked Assam Police DGP Kuladhar Saikia to conduct an inquiry into the incident and file a report at the earliest. Sonowal and ministers of the BJP-led government in Assam have been shown black flags at several places across Assam in the past few days by protesters opposed to the Citizenship Amendment Bill. The protests have led police and other security personnel to prevent entry of people wearing black clothes at programmes attended by the chief minister and other ministers.